The magic of Apple is constantly serving the masses after the inception of most advanced iPhone. 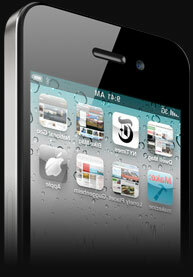 The regular updates in iOS and SDKs leveraged its demand and admiration of the modern advance phone users. The latest update from Apple of iPhone iOS 4.2 is another powerful push to the unbeatable strength of Apple’s hand-held devices in the mobile industry. This free iOS 4.2 Software Update is the source of new features for iPhone, iPad, and iPod touch. iOS 4.2 is compatible with various different hand-held devices of Apple Inc. such as iPhone3G, iPhone3GS, iPhone 4, iPod touch 2nd generation,3rd generation and 4th generation. AirPrint - It is now great printing facility of email, photos, web pages, and documents from iPhone, iPad, or iPod touch by using AirPrint feature. It is very easy to take print without downloading any software, installing any drivers and without cable connections. AirPlay - This allows the iPhone, iPad and iPod user stream digital media wirelessly to Apple TV as well as AirPlay-enabled speakers. Users can easily watch movies and photos on wide screen of TV and play music in best speakers of the home. Game Center - User can be more social such as able to find friends, he/she can play multiplayer games against new opponents by using auto-match. Folders on iPad - More room for more applications with new folder feature and iPad user can easily move apps into folders with the facility of drag-and-drop. This helps in fast access to favorites. Even better Mail - Mailing is much better such as user can see messages from all accounts in a combined inbox, he can systematize messages by using threads, and able to open attachments in third-party apps. Multitasking on iPad - Without slowing down the foreground apps and draining battery needless, the user can enhance the performance, have fun in playing games and do every thing smoothly and efficiently. iTunes TV show rentals - User can rent TV shows commercial free in HD for less amount and less time. Find My iPhone, iPad, or iPod touch - This is free feature on iPhone 4, iPad and fourth-generation iPod touch running with iOS 4.2 helps the user to locate device and protect important data. User can search lost device on map, display a message on its screen and set a passcode lock remotely for the deletion of data by doing pre-settings. The iOS 4.2 Software Update is another enhancement effort from Apple Inc. This is offering a wide range of features that can be used easily by utilizing this new operating system in Apple’s Hand-held devices like iPhone, iPad and iPod touch. IADI is professional iPhone Application Development Company organized with creative, talented and experienced iPhone developers/programmers proficient in iPhone application development.